Known in many languages as cucumber time (for real), for us it’s that special time of year when the heat with excessive alcohol consumption to create a state of euphoria that can only be described as... silly. With that in mind, perhaps it’s time to rethink our position on ready-to-drink (RTD) cocktails. Sure, they have a reputation for being not very “classy”, but given that the silly season is all about alcohol-fuelled fun with family and friends, and that RTDs are probably the tastiest and most efficient form of alcohol on the market, let’s take a look at actually good RTDs to kick-start your silly season. Manhattan | The Everleigh Bottling Co. If anything’s going to change your perception of RTDs it’s this elegant, nineteenth-century cocktail that Bart Simpson was really good at making. The Everleigh Bottling Co.’s version of this classic is made with Bulleit rye whiskey, Cocchi vermouth, and Angostura bitters. They recommend garnishing with a Morello cherry soaked in Kirsch, but we’ll forgive you if you decide to knock it back out of the bottle. This sensational scarlet cocktail was first mixed in Florence, Italy all the way back in 1919. Sure, you could round up the ingredients yourself, by why bother when the Aussie Tipple Company have a pre-bottled version ready to go? Their take on this iconic Italian masterpiece is made from Ian Glen’s Stone Pine Dry gin from Bathurst, Regal Rogue Vermouth – Bold Red and a special blend of bitter orange liqueur. It’s wonderful living in Brisbane and having access to a plethora of amazing whisky bars, all ready to make an out-of-this-word old fashioned. What’s even more wonderful is enjoying the same drink at home without having to make it yourself or leave the blow-up pool. Starward have an impressive, modern take on the prestigious drink made from Starward whiskey, house-made bitters and wattleseed demerara syrup. A good espresso martini is as much about good coffee as it is good liquor. That’s why we’ve turned to Luxe.Brew for the bottled version of this luscious favourite. The fresh, Arabica beans are brewed over 48 hours using chilled, filtered water then blended with quality vodka and coffee liqueur. This is a drink that’ll wake you up then knock you out in a matter of minutes and what could be sillier than that? Nothing screams class and sophistication quite like margaritas, but what if I told you that they could get even better? 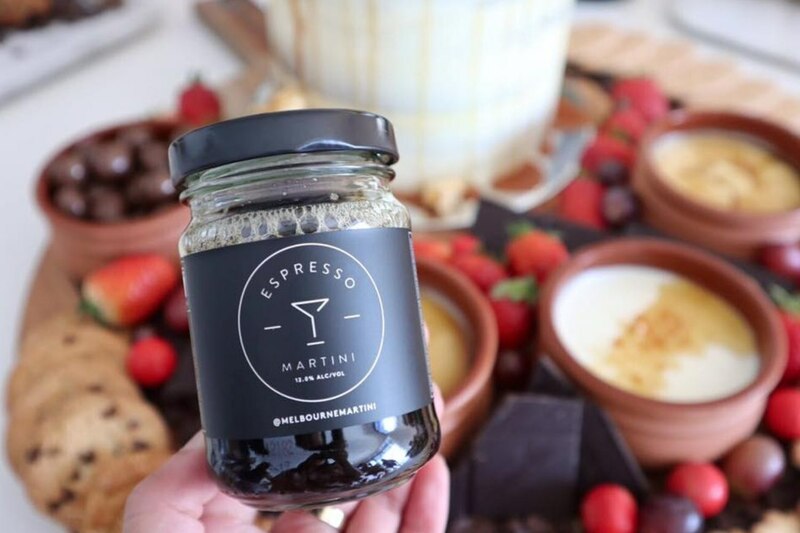 What if I told you that Melbourne Martini will send you a pre-made margarita in a jar? The true meaning of Christmas, the Tommy Tequila Margarita is made from tequila, natural lime juice, organic sugar syrup and agave nectar. Did I mention the jar? Oh I did? I really like that it comes in a jar! Those who’ve only ever known a white Christmas might not understand the appeal throwing back enough drinks to accelerate the heat stroke of an Aussie Christmas, but these RTDs might be the key to the most sensational silly season ever! - the gourmand that no longer needs to leave his house for a cocktail.